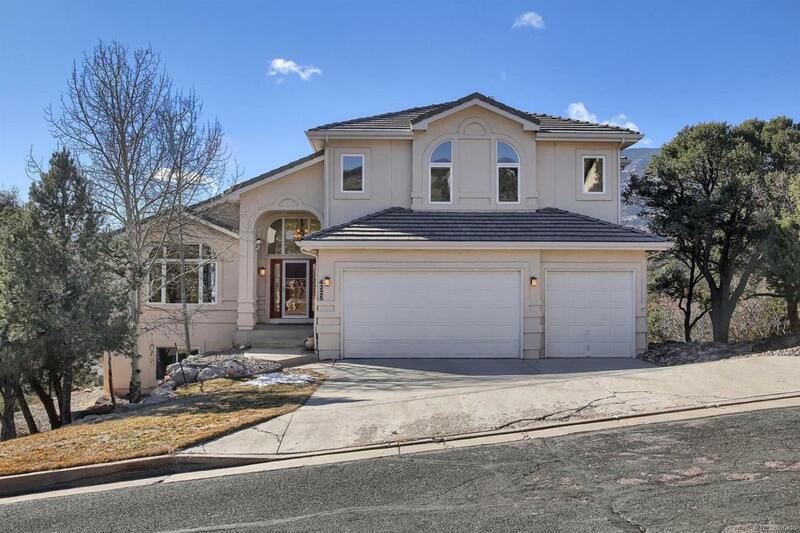 Private mountain living feel in this well cared for 5 bedroom, 4 bath home with views out every window. Gorgeous hardwood floors on main level and upstairs. Updated gourmet kitchen with nook opens to family room and walk out to covered back trex deck. Upstairs you will find huge master bedroom with sitting area. Well appointed master bath with custom walk in closet. Deck off master to enjoy the view. Walk out basement offers additional office or craft room, two bedrooms (one is currently home gym), family room with wet bar and great storage. Brand new 3 zone furnace and central air.